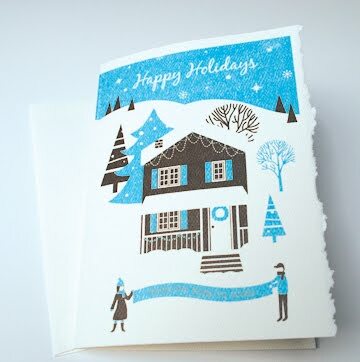 Jen Snow Design: Happy Holidays! I am counting down the days (2 more to go!) until we fly to Newfoundland for the holidays! It will be my first Christmas with my new newfie family, and the first away from my own. As sad as I am that I will be miss seeing my own family, I know that Dave and I will "have a time" on the rock! Hope you all enjoy the holiday with family and friends too!